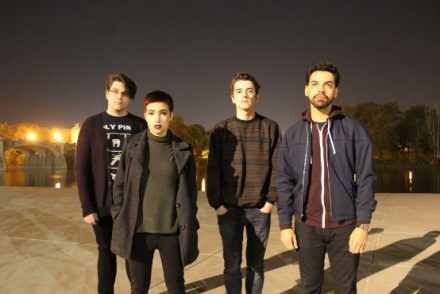 Felix Champion have released their debut album, This Lateral Life via Bloc+Music. 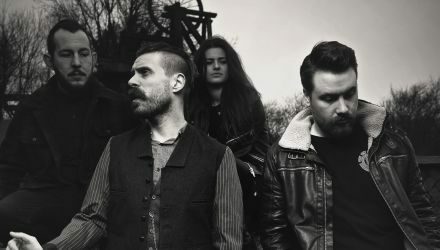 Originally from Fife, Scotland, the Glasgow based four-piece are delighted to be releasing their debut full length record where their own brand of elaborate, yet melodic, alt-rock can be appreciated in its entirety. With moments of technical proficiency combined with vocal harmonies galore and heavy intricate guitar pieces, Felix Champion have created a raw, pulsating, explorative sound. To celebrate the release of the album, the band will be giving away the free track, ‘Snow Graves’. You can stream and download it for free via the ABoF SoundCloud page. The video for album track and single These Four Walls premiered on Punktastic and you can now watch it on the band’s YouTube channel. You can stream and buy single, These Four Walls via Felix Champion’s BandCamp page and download album track ‘Canyons’ for free via the ABoF SoundCloud page. Tracks such as the aforementioned These Four Walls characterise the band’s creative output perfectly. Guitar picking envelopes your ears at break-neck speed, as a multitude of time signatures stop and start, cajoling your body to lovingly throb with the same passion the band clearly exhibit on record. Screaming vocals are flanked by impressive on-point harmonies as the song undulates to a heavy, head banging close. There is no pause for breath throughout This Lateral Life, as the band showcase a boundless energy, and no little talent, reminiscent of bands such as Attack! Attack!, Funeral For A Friend, Gallows and Thursday. ‘Animals’ shows a poppier side to their songwriting as the emphasis shifts to a big chorus and even bigger harmonies, while closing track ‘The Lateral Life’ displays elements of math-rock akin to bands like Tera Melos, This Town Needs Guns and Oxes. Consisting of Ross Balsillie (guitar/vocals), David Rees (guitar/vocals), Andy Brown (drums/vocals), Michael Clark (bass/vocals), Felix Champion originally formed in 2011 as a three-piece outfit. However, after collectively moving to Glasgow, the band recruited their friend David Rees in 2013 completing the final Felix Champion line-up. They quickly made a name for themselves on the Glasgow music scene with their vibrant live performances which led to a support slot with PAWS at Glasgow University’s freshers’ week as well as festival appearances at GoNorth, Wickerman and Tweedfest. This Lateral Life is released via Bloc+Music and available to buy digitally on iTunes. HVMM’s single ‘Beggars And Thieves / Going Postal’ out now!